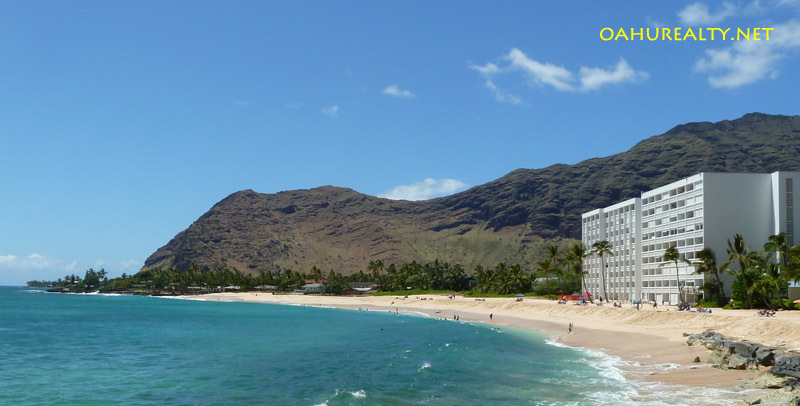 Makaha Beach Cabanas is a nine-story building located along a beautiful sandy beach. The building has a total of 162 one-bedroom residences and two elevators. Interior area of each unit is 456 square feet with a 64 square foot lanai. Ground floor unit owners can walk straight onto the beach. 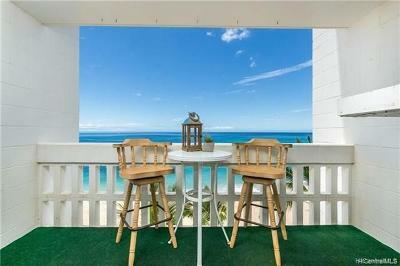 Higher floors offer stunning views of the Waianae coastline. Makaha Beach Cabanas feature security gates, trash chutes and a nice barbecue area. Access is via a small magnetic fob, much easier to use than a regular key to get in and out. Each unit has one parking stall. Stalls are unassigned and residents may park where they please within the gated parking area. Maintenance fees are $480 per month in 2017 and now high speed internet and cable TV are included in the monthly fee. The Makaha Beach Cabanas were built in two phases. Phase one was units 1-10, located on the west side of the building. Phase two units number 11-20 on the east side. 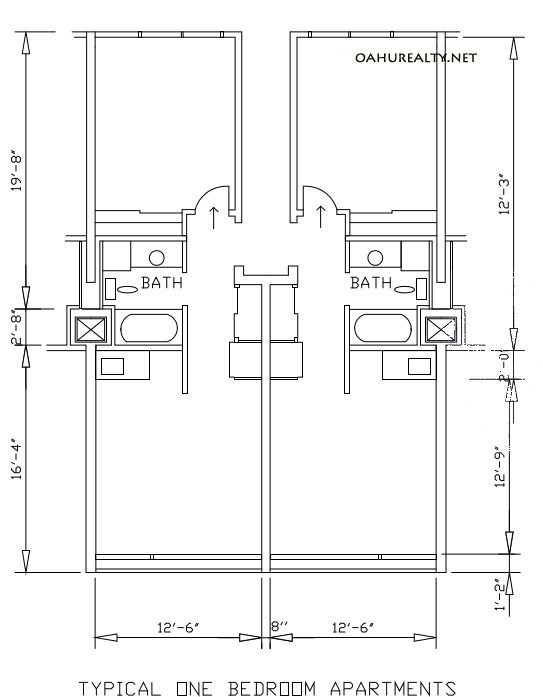 Differences are that phase one units have showers and phase two units have bathtubs. Floor layouts are slightly different as well. Many owners have upgraded their units and altered the original floorplans. Note the Cabanas do not have a "13" stack. Units are numbered "12" and "12A" to avoid using the number 13. 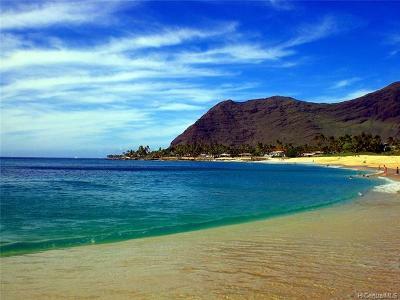 Makaha Beach Cabanas are located at 84-965 Farrington Highway in Waianae, Hawaii 96792. 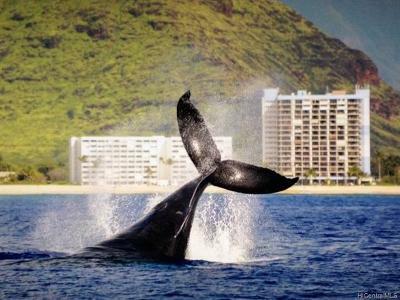 The resident manager, Greg Roe, can be reached at (808) 696-2166. 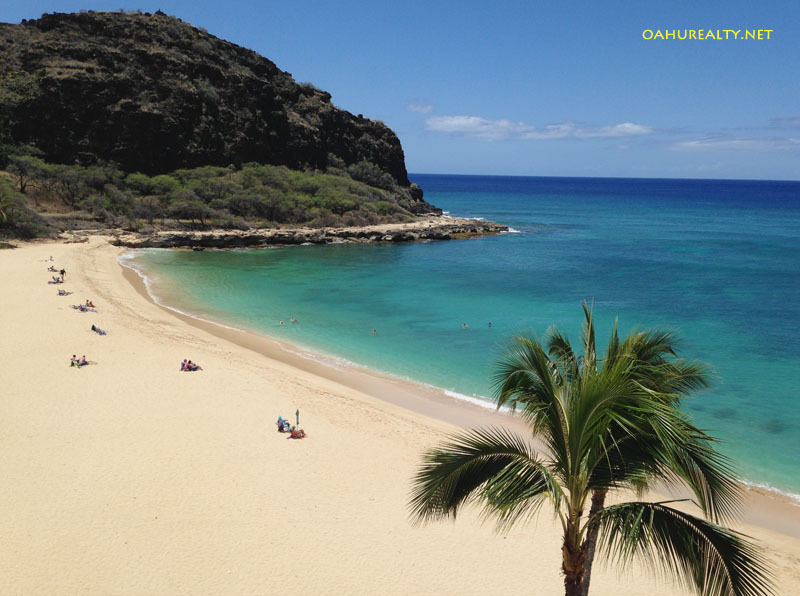 Click this link to view Makaha Beach Cabanas House Rules in PDF. Enjoy ocean views from your lanai at Makaha Beach Cabanas. Lahilahi Point is in the background. This area is known as "turtle beach" because turtles are seen here frequently. Makaha Beach Cabanas were developed by Summer Place LP.